THE PERFECT BALANCE BETWEEN SMALL TOWN CHARM AND WORLDLY ADVENTURE. 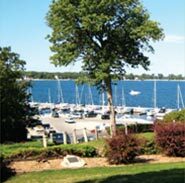 Located in the picturesque village of Egg Harbor, Door County’s Landing Resort is nestled in a quiet, wooded setting. 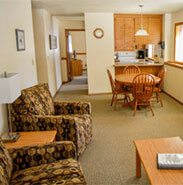 Each of our 1, 2, and 3-bedroom suites makes a great get-a-way for those looking to enjoy a Door County vacation. 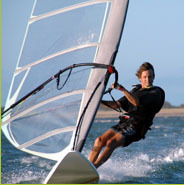 Come and enjoy our friendly hospitality and the relaxed atmosphere any time of the year. We’re your home away from home. Every room is unique + includes either a kitchenette or fully equipped kitchen and cozy living area. It’s the perfect central location to enjoy all that Door County has to offer. Have a little fun with the family in our indoor pool, arcade room, or outdoor picnic + playground areas or pool. You can grill out, enjoy the sun, and relax. With 10 golf courses, 33 parks, fun festivals, spectacular fish boils, plus miles of beaches, Door County keeps the whole family entertained. Bask in the sun at our beautiful public beach and marina or enjoy casual to gourmet fare at one of several restaurants and cafes. Shop for souvenirs and memorable gifts at dozens of shops or a visit a brewery, distillery or stop in at our top notch specialty foods market. There’s no end to the fun and … it’s all just footsteps from our front door! Photo Credits: The Landing Resort Sign, Andy Berndt; Site designed by www.1designsource.com and coded by Tweak Social Media & Marketing.